Guys- sometimes couples get bored. It happens. Even when you’re totally and completely in love. Probably more often when you’re thinking too much about how you don’t talk and laugh and play as much as you used to when you were dating. Again, it happens! What can we do about it? As they say, “Be the change!” Basically, it’s totally ok if it’s up to you to initiate a little fun. Chances are, your partner will be more than willing to comply to at least one of the ideas below. You’re welcome in advance! Now get out there and have some fun! 4 | Give a room a fresh coat of paint! 6 | Plan next summer’s vacation! 7 | Pray about and search for a missions trip that you and the hubs can participate in whether locally or overseas! 14 | Find a brand new restaurant that you’ve never been to before! 21 | Take a personality test!! (Highly recommend). 25 | Take a class together like dancing, cooking, pottery, painting, archery, etc.! 29 | Roast marshmallows (or anything!) over a fire! 30 | Photography! Grab a camera, go outside, and see what happens! 32 | Try to learn a new language together! 34 | Enter a 5K and train together (or bigger race depending on your skill level). 35 | Find hidden treasures at a flea market or thrift store! 36 | Find a DIY project on Pinterest and get to it! 38 | Host a dinner party! Think of something that would make a great addition to this list?! Number your ideas where the post left off (ie. 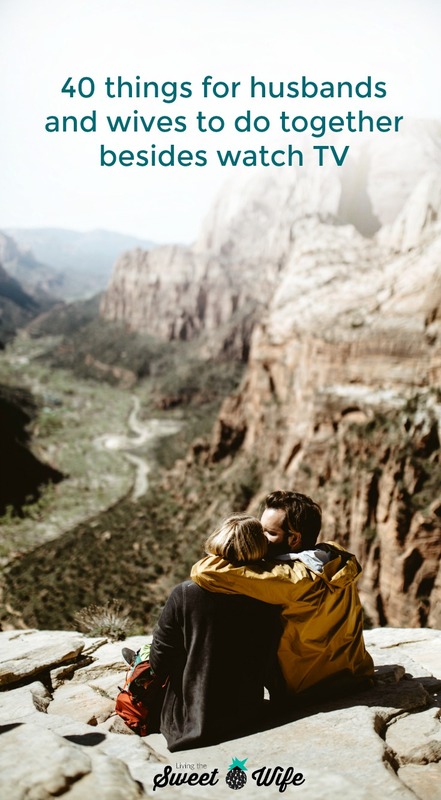 #41, #42, etc) and leave your own ideas for couples to enjoy! And if you’ve done these before, let me know what was your fav! 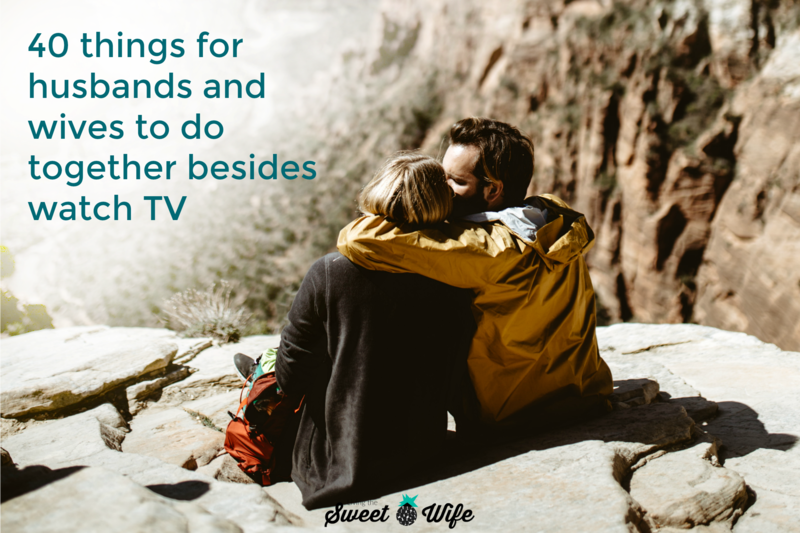 It is nice to just cuddle and watch tv sometimes, but is so important to being doing other activities that grow your relationship as well! 42. Go to the nicest Hotel in town and explore the grounds together, stopping for a coffee & dessert or drink at the bar. 43. Cook a gourmet meal together. 44. Go Fishing together. Bring a picnic. 45. Each make a list of the 10 best things about each other and share it. 46. go out for ice cream and a stroll downtown. 47. Do a progressive dinner together – appetizer, dinner and dessert at 3 different restaurants, preferably ones close enough to walk from place to place. 48. Catch a local live band together. 49. go to the library together. Play a game where you each have to pick out a book the other one would like. 50. dress up and Go to a play together.